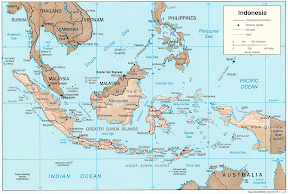 Geographical condition of the Republic of Indonesia which consists of 17.000 big and small islands poses natural challenges in building this nation including the development of education. Specifically in the field of education this condition causes difficulties in implementing dissemination of good quality education and its accessibility. Therefore, a gap in quality emerges and the dissemination is more concentrated on the island of Java particularly in the area around big cities. This condition can not be tolerated because education is a must to have and enjoy by everybody. Many people say that one of the solutions to this problem is making use of communication and information technology known as CIT. It sounds great but again the geographical condition of the country still forms the greatest and main obstacle. It is almost impossible to build cable network across country due to the specific contour of geographic location. The only technology which might be able to reach or cover all regions is satellite technology. However, up to now this technology is not maximally used; it is therefore the operational cost is still high. On the other hand, Southeast Asian Ministers of Education Organization Regional Open Learning Centre (SEAMOLEC) has a main task to develop open-distant learning education in southeast Asia regions. In order to be able to carry out the task successfully, SEAMOLEC may not think only of those developed countries in terms of technology or areas which are already familiar with CIT but also, in fact more attention should be paid to, the remote places where distant learning education is urgently needed. Based on this particular way of thinking Southeast Asian Education Network (SEA EduNet) is launched by SEAMOLEC. B. What and How is SEA EduNet ? SEA EduNET is a system of delivering data through satellite by way of multicast method for the purpose of distant learning education. 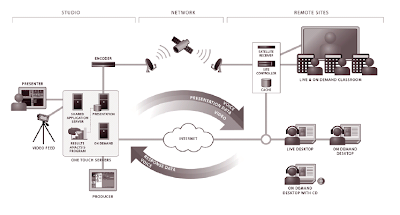 With multicast concept it is possible to deliver abundant of data in high speed without depending on the number of clients. Unlike internet which uses broadcast method, the speed of delivery for every client depends very much on the number of clients on the same line. Thus the speed is equal to the speed of sources divided by the number of clients. This phenomenon will undoubtedly create chaotic situation in delivering a large number of data to a number of delivery points. The name SEA EduNet is chosen because it reflects the ideals/goals of this program i.e. to share educational materials among southeast Asia countries. It is meant so that the quality of Indonesian education is relatively the same with other southeast Asia countries. At the same time the scope of work of SEAMOLEC happens to be the same countries. In general the concept of SEA EduNet is to link all regions through satellite. 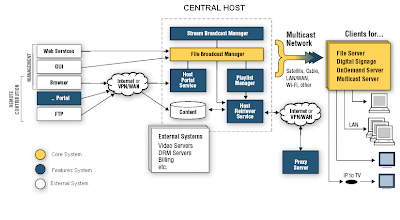 Since the concept used is multicast, the data delivery then is using “one way” system or downstream only. If certain regions have internet connection then interaction can take place through that connection. To implement this system SEAMOLEC is to cooperate with P.T. Telekomunikasi Indonesia (Telkom) especially in making use of Telkom 1 satellite whose coverage area is exactly the same with SEAMOLEC’s target area. i.e. southeast Asia. Set of equipment needed by clients is not very elaborate. They are as follows. We have to admit that the quality of Indonesian teachers and lecturers are varied. It ranges from the very best to the less good and they are widely distributed. To obtain the best result it is imperative to carry out training with it’s done by the best trainer in their respective fields. It is a pity that a qualified trainer like that is very scarce. Now, through SEA EduNet limited good qualified teacher and lectures can be made use of, i.e. recording their class activities and than the recording is cast through SEA EduNet. With regular time table the recording is shown to the class and later on discuss it together between teacher and students. Since it is used with multi cast system and IP based the show can be enjoyed directly on computers in the whole classroom or in the laboratory. At the moment video conference is very commonly done. One of the examples is the discussion of JEC (General Election Commission) dispute by Supreme Court with various regions. So how this video conference is seen and enjoyed by other points in Indonesia? First of all in Universities that have law faculties or high schools that wants to study the judicial system in Indonesia but do not have internet connection at all. With SEA EduNet the implementation of video conference can be directly broadcast through satellite system, so that all points can follow the broadcast at the same time. The limitation of the system is that it can not provide a 2 way communication because it uses multi cast system. However, it is sufficient enough to meet the need of scientific aspect. Another advantage of this system is it can disseminate both national and international seminars online and directly on that moment it can transmit information and sciences and it can be widely disseminated. At this moment there are many e-books based or multi media based study content. The example of this is electronic school book. But there are many constraints to be faced in distributing the materials. One of them is the delivery to target location. If we use CD or flash disc media, we are handicapped by the limitation of the saving media not to mention the chain of data or data updating. If we use internet connection it will be limited by the size of the bandwidth to enable us to send all the data mentioned. 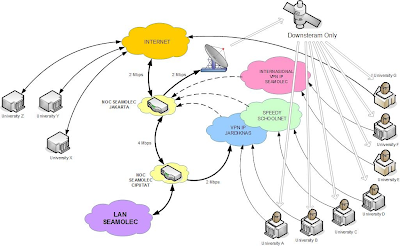 Using the SEA EduNet system, all data, be it training / learning video, multi media, materials, or e-book can be delivered directly to the target point without having connected with internet. Delivery is done directly from SEAMOLEC through NOC at earth / ground station at Cibinong and will be received by all points. Than, all points can connect satellite multi cast modem set to file / web / web server so it can be accessed through local network. This is the one that differentiate this system from others. 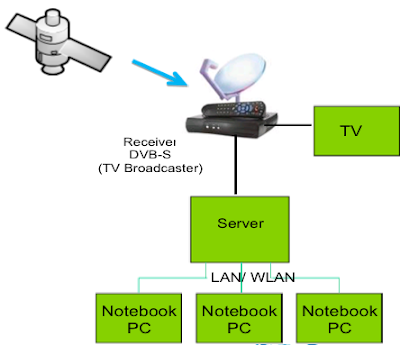 By combining data with TV broadcast this system can also be entertainment media as well as learning media. Just by subscribing to the provider of TV satellite service this tool can also receive TV broadcast service as advertised. Especially for SEA EduNet system, however, we have specially prepare education package where on top of the delivery of video and data that is given to the subscriber, TV broadcast which is shown is also limited to the supporting learning TV broadcast like National Geographic, Discovery Channel, Animal Planet, Educational TV (TV Edukasi) and others. That way it is hoped that parents ‘anxiety on TV shows is reduce or abolished. With this function, SEA EduNet not only can be installed in educational institutions but also in citizens’ homes. SEA EduNet is a solution which is affordable by communities who have constraints in receiving data, particularly for educational process. Why is it considered affordable? It is because this system is easy to apply or easy to be implemented. It is enough to use just one parabola antenna, modem, one unit of PC as server / router and another one PC as a client. From the cost point of view the total amount does not exceed ten million rupiah (Approx US$ 1.000). 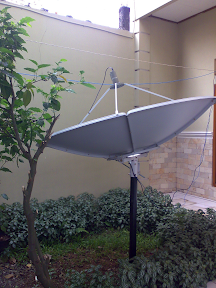 For monthly fee, if it is in cooperation with TV satellite provider the amount is approximately one hundred fifty thousand rupiah (Approx US$ 15). This solution is smartly bridge the deficiency of internet technology such as bandwidth. It certain areas in Indonesia and in southeast Asia in general bandwidth is still difficult. With good and useful contents SEA EduNet can be a meaningful, powerful and effective tool to raise and level the quality of education now and the future. This entry was posted in Teknologi Informasi and tagged International Symposium, Paper, sea edunet. Bookmark the permalink. Great post, makes me think. thanks the information. 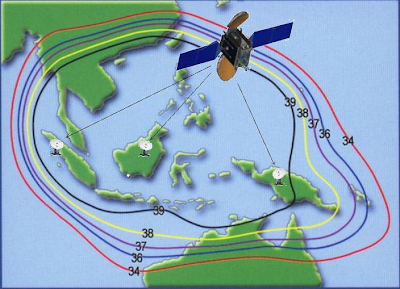 I so know about satellite technology in Indonesia. Indonesia aja may be more advanced.